You can’t beat a pizza in a pizza oven, but not everyone has one. 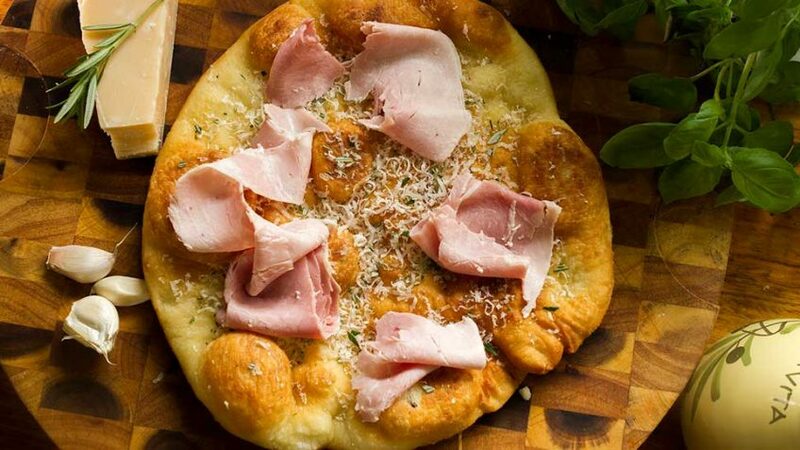 This pizza recipe requires no machinery and can be cooked in any conventional home oven. It takes a bit of elbow grease but well worth the effort. Made with chorizo for that Spanish flavour. Mix the yeast with the warm water (not hot). Make a bay in the centre of your flour mix and pour the yeast mixture. Mix well with a spoon then use your hands until bowl appears almost clean. Flour your bench, gather your dough and place it on the bench. 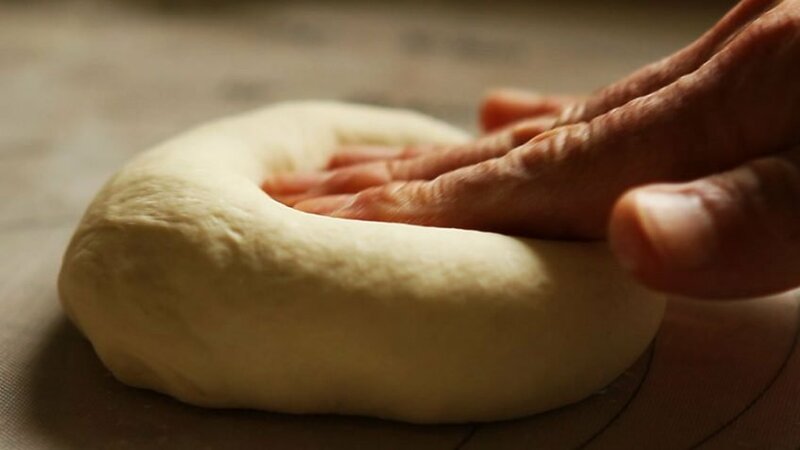 Start kneading the dough by pressing the heels of your hand and pushing forward, slightly turn the dough with each process. Do this for 7 to 10 minutes. Place back in floured bowl, cover with cling film and leave to rest (proof) in a warm place for 90 to 120 minutes. Remove dough from bowl and place it on a floured bench. Divide in half. 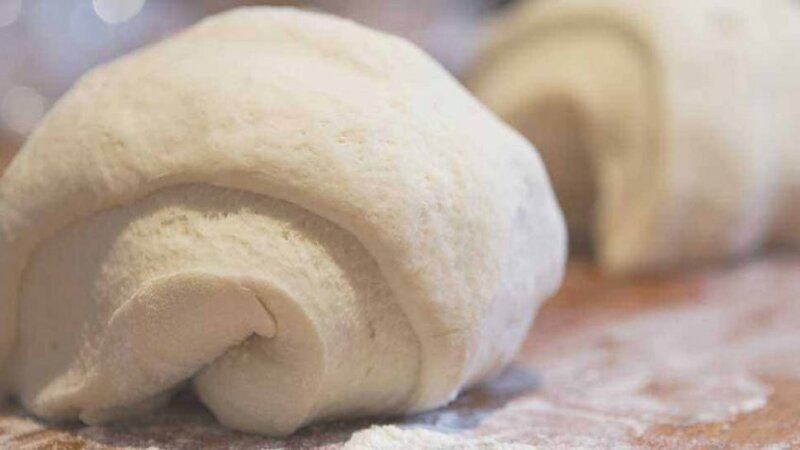 You can roll it our with a rolling pin or stretch it out by hand (see video). Add the oil to a frying pan. Grate the garlic cloves and add to oil. Add the dried oregano (use fresh if you have). Turn on heat and gently sweat the garlic for a few seconds. Add the tomato purée, salt and turn off heat once the sauce has simmered. Preheat your oven to maximum. Tear the mozzarella cheese into strips, not too thick. Slice your chorizo sausage not too thick. Place your rolled out pizza base on a pizza tray. Spoon on the sauce on your pizza base starting from centre as a spiral outwards (you should still see the part of the base appearing through, do not flood). Add your mozzarella cheese nice an evenly so all the slices have enough. Add the slices of chorizo in a circular manner. 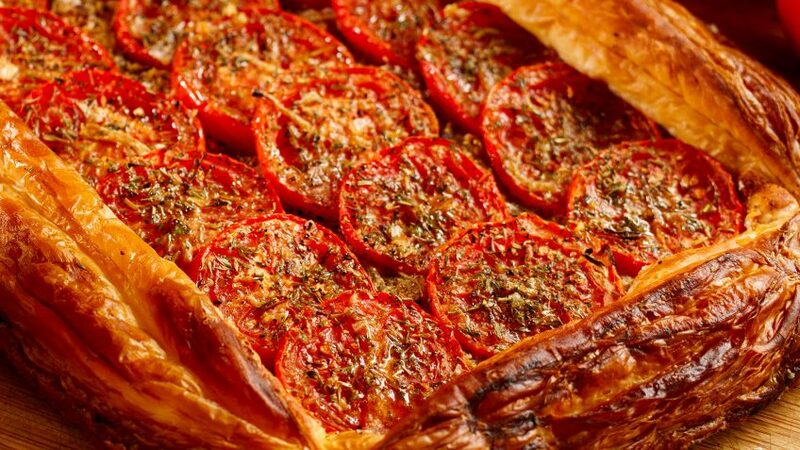 Place in oven and bake for 12 minutes at 250ºC – 480ºF, or until cheese is slightly brown. Add some chili if you prefer your pizza to be spicier. The pizza dough is easier to make in summer as it loves warmth. If you don't have a warm environment, try the oven with the door open on the lowest setting. 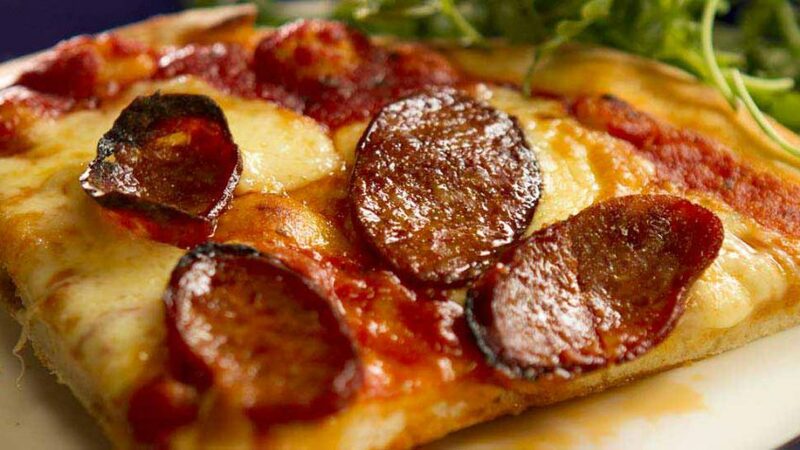 Use hot salami instead of chorizo for a more traditional pepperoni pizza. 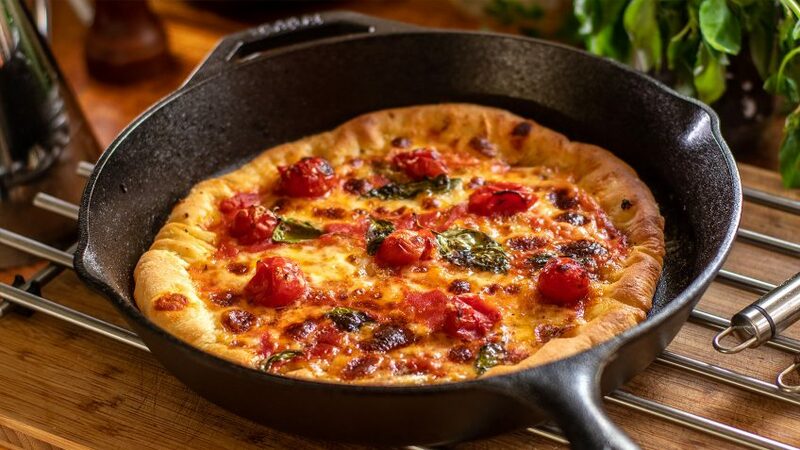 Depending on the tray you use, if the pizza crust has not toasted, place it in a pan on high heat and toast in the pan (check continuously to avoid burning). A pizza stone is the best alternative and worth buying if you like to make your own pizzas.